Government urged to intervene in religious institutions - SABC News - Breaking news, special reports, world, business, sport coverage of all South African current events. Africa's news leader. The coalition, made up of 100 organisations, wants the government to close down churches that infringe on the rights of individuals to choose their religion. The Global Citizens’ Human Rights Coalition has called for urgent government intervention to stop some religious institutions in the country from abusing their members. It says recent court cases involving some well-known religious leaders such as Prophet Shepherd Bushiri are concerning. 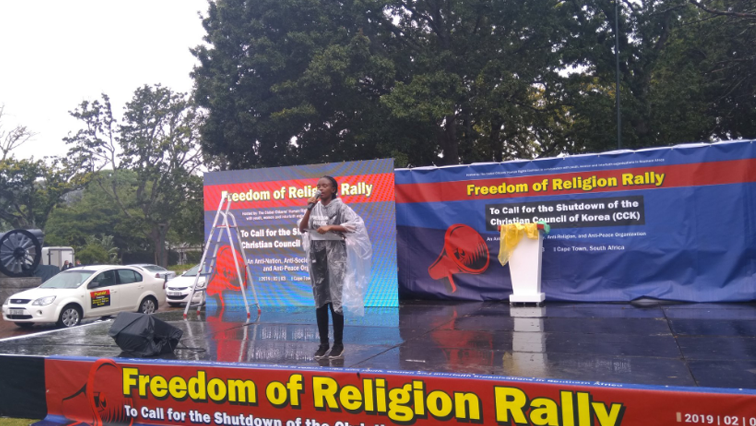 Members of the coalition recently picketed in Cape Town, Johannesburg, Durban and Port Elizabeth against what they call human rights abuses by religious groups in South Africa. During a picket in Cape Town, members said religious freedom is under threat in South Africa and globally due to some hostile practices by some church leaders. It celebrated UN Interfaith Harmony Week earlier this month to promote peace and tolerance among religious groupings. Members of the coalition also recently protested in South Korea calling for the shutdown of the Christian Council of Korea. They accused it of corruption and anti-religious actions. This entry was posted on 11 Feb 2019,08:29PM at 8:29 PM and is filed under Lifestyle. You can follow any responses to this entry through the RSS 2.0 feed. Both comments and pings are currently closed.